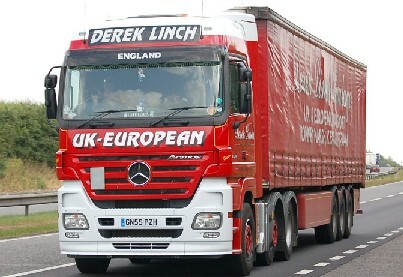 The first Mercedes Actros in our fleet of heavy trucks has completed its first year in service, it has been a fantastic addition to the fleet and has clocked up 150000 trouble free kilometres, its driver Will Carr is extremely pleased with the truck and has piloted the vehicle to all parts of Europe. Our new MOT testing lane is in full swing we have increased our opening times to accomodate more vehicles and offer early morning and evening tests. Our state of the art testing lane can MOT car's, van's, campers and motor homes. Please contact our workshop manager Garry Linch for more details. 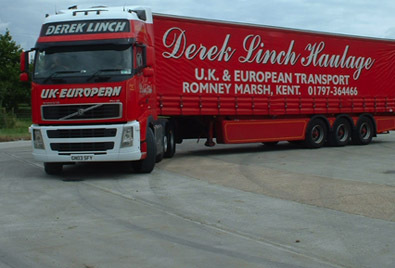 June 8th 2007 is a very significant date for our company it marks 30 years in business, road haulage is an industry where many fail and few are successful, Derek Linch Haulage Ltd continues to grow and success has been down to hard work and a strong desire to be better than others, This will always be our philosophy and we look forward to the next 30 years!